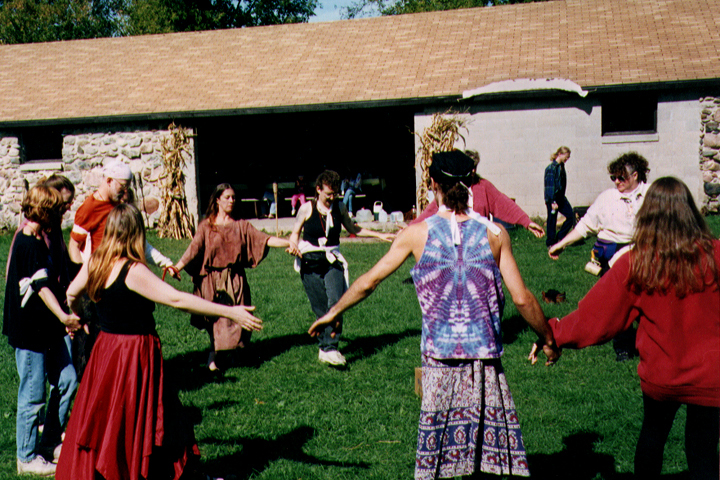 During the last few decades, the American Pagan community has multiplied dramatically. Many Pagans attribute the movement’s growth to the attractiveness of a life-affirming spirituality in an alienating society. Some people are drawn to Pagan ways because of the celebrations of the seasonal holidays, the participatory rituals, or the prospect of a living relationship to the elements of nature: earth, air, fire, water, and spirit. Others hope to build a connection to the polytheistic religious practices of their ancestors or seek a religious community that specifically welcomes gay, lesbian, bisexual, and transgender people as full participants. Contemporary Paganism also attracts people because of its reverence for the Goddess or goddesses. Many women, especially during the feminist movement of the late 1960s and early 1970s, were drawn to Pagan traditions. They found connection with Goddess imagery to be empowering and welcomed the leadership opportunities that existed for them within Pagan circles. More recently, queer-identified Pagans have undergone a similar process. Today, there is a growing movement within Paganism to develop queer and transgender traditions and to recover images of gender-fluid deities from ancient mythologies. Since Paganism is a grassroots religious movement, it is difficult to study comprehensively. 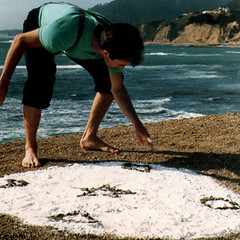 Pagan journalist Jason Pitzl-Waters estimated in 2008 that over one million Americans identify as Pagan. In the mid-1990s sociologist Helen Berger led the first attempt to document the size and diversity of the American Pagan community. In 2003, Berger et al published the results from the Pagan Census Project under the title Voices from the Pagan Census. Their research revealed that Pagans tend to be somewhat more educated, politically liberal, and politically active than their neighbors; they also tend to identify as gay, lesbian, or bisexual much more frequently than the general population. At the same time, the survey also noted a growing percentage of younger, solitary practitioners who are less politically active than their older counterparts. In 2012, Berger and her team completed a second census, and the data is currently in review for publication. In the 1980s and 1990s, local Pagan or New Age supply stores selling herbs, candles, and books served as social centers where people met, exchanged information, and publicized their gatherings. Today, some of these shops still exist, but Pagans have moved much of their buying and networking online. The Witches’ Voice (Witchvox.com) offers listings of groups, events, legal Pagan clergy, shops, and community centers by city and state, as well as an extensive collection of resources describing different Pagan traditions and a regularly updated set of articles on Pagan life and practice. Pagans also make use of social media outlets like Facebook, Twitter, and Google+ to keep in touch and exchange news. Given twenty-first century technology and the degree to which it facilitates communication, Pagans experience far less isolation than in the past. Pagans who do not regularly study with in-person groups learn about their religion through books, online chat rooms, websites, and blogs. Some may also take workshops or engage in distance training with a teacher using e-mail, video conferencing, and online classrooms. Many Pagan practitioners host blogs on their personal websites, but some are associated with larger media outlets. The magazine Witches & Pagans hosts dozens of blogs at PaganSquare, as does Patheos.com through its Pagan Channel. Online schools also offer training at a variety of levels. Some Pagan groups have organized at the national level, with branches across the United States that connect individuals with groups, provide training for practitioners and clergy, and engage in public relations outreach. The Covenant of the Goddess, incorporated in 1975, is organized at the national level and dedicated to training Pagan clergy, with branches in Europe and Australia as well. The Covenant of Unitarian Universalist Pagans (CUUPS), begun in 1986, networks Pagans who are affiliated with the Unitarian Universalist Church. Ár nDraíocht Féin (ADF) is a Druid organization incorporated in 1990 to educate Druids in the U.S. and internationally. Not all Pagans feel positively about the growth of Pagan infrastructure. Those who left other religious traditions are sometimes suspicious, fearing that the institutionalization of their adopted religion will cause it to become like the unsatisfying religious communities of their youth. Others feel that Pagan institutions such as temples and schools are necessary, but that they must be structured differently so as to reflect egalitarian, grassroots Pagan values. Today, several different Pagan organizations are raising funds to establish permanent Pagan research libraries, as is the case with the New Alexandrian Library in Georgetown and the Adocentyn Research Library in San Francisco. Pagans can pursue a master of divinity degree at online institutions such as Cherry Hill Seminary, or join Pagan community centers such as the Open Hearth Foundation in Washington, D.C. Some Pagan groups are also working to buy land on which permanent temples can be established. The question of whether Pagans need paid, professional clergy is ongoing. While many value the participatory nature of Paganism and the decision-making power they hold as active volunteers in their communities, entirely volunteer-run organizations are difficult to sustain. Many Pagans also want access to professional services from people who share their religion: counselors, hospital and prison chaplains, legal clergy for weddings and funerals, and trained teachers for youth and adult education. At the same time, Pagans continue to struggle with the question of whether paid clergy will undermine the egalitarianism of Pagan communities. While there are some Pagans who were brought up in their faith, most find their way to Paganism as adults. As more parents raise their children as second-, third-, and fourth-generation Pagans, however, the question of whether and how to build Pagan infrastructure may become less contentious.